Well for those people waiting for a response from the British Museum to my email, I received one but it was marked ‘confidential’. I have asked for a public statement that I can share, and as soon as I receive one I will post it. I have to say, I do wonder what aspect of a publicly-funded museum’s policies on the interpretation of displays could possible be confidential. And, I also believe that it is precisely this lack of transparency and communication that makes the relationship between some cultural institutions and their relevant communities worse than they need to be. 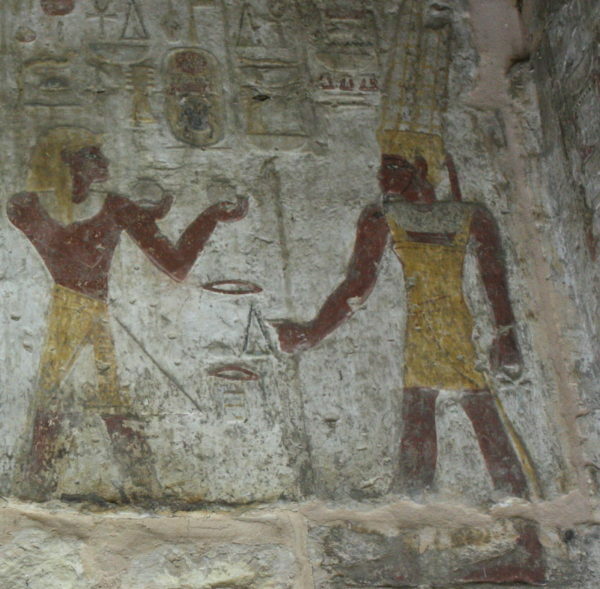 On Sunday 5 February Kemet Expert blog is 1 year old. 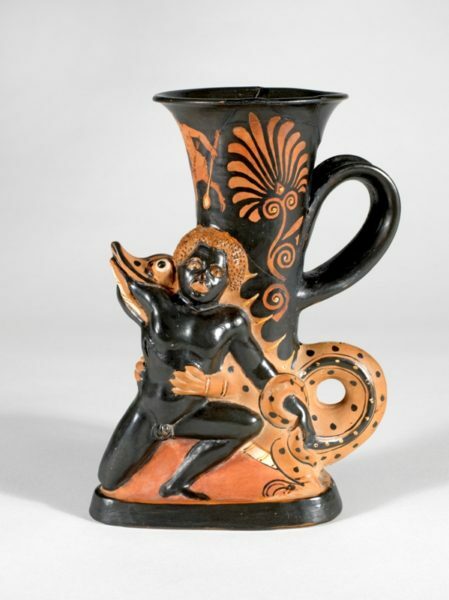 The post that I am currently writing will look at the Kemite influence on Greek art. In the meantime I thought I would remind you how the Ancient Greek people represented the people of Ancient Kemet. Rhyton dating to the Classical Period, circa 350 B.C. Photograph copyright of the Fitzwilliam Museum Cambridge. It is interesting that the link to the British Museum’s “Educational Material” teacher’s notes, seems to have dissapeared. Perhaps the obstensible roots of this culture was too much to concede in any way, and disturbed the sensibilities of those who wish to admire Kemet outside of its African context. It is petty, I believe, to perpetuate this two-century manufactured cultural isolation. It is is even more pitiable to renege on a unanimous and unambigious footnote that alludes to this culture’s ancient roots. I read somewhere that the Fitzwilliam had over 13,000 Egyptian artifacts–undoubtedly the BM has much more and would only dare to mention from whom they were derived. And yes the British Museum has an extensive collection of material, certainly the most comprehensive in the UK. The Petrie Museum has around 80,000 objects but many of the same types. Have to agree with Hakim regarding the British Museum and its looted antiquities. It is/was basically a big imperialist treasure chest. Connecting Egypt to its African heritage and calling it Kemet is great but it won’t get away from the fact the BM’s history is rooted in colonialism. It seems very difficult to convince not only some museums but our school curricula that Egypt was / is part of Africa. And that we, in Europe, have learned much from Africa. As for acknowledging the plundering of what Britain still calls the ‘Third World’ – just not possible. Britain was there is ‘civilise and Christianise’ those ‘unruly savages’ whose culture predated Europe’s. So Britain can continue to exploit one way or another…. Hi Marika, yes I agree. Although it is interesting that on educational material on the British Museum’s website, Egypt is identified as an African culture. The racist ideologies that were the foundations for Egyptology are clearly evidenced, unlike other disciplines with similar origins there are still groups within Egyptology who seem to be resistant to acknowledging or correcting this standpoint. 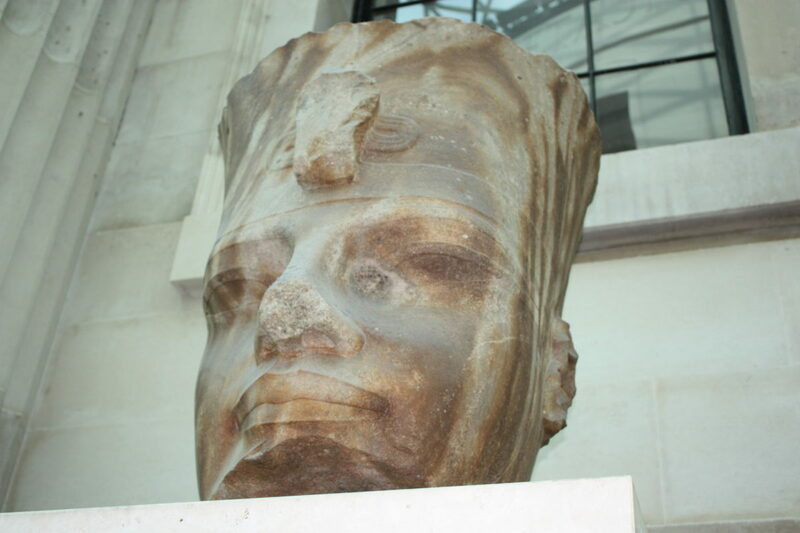 For the British Museum the ancient history of Africa, including Egypt, is obviously a confidential matter. Nothing wrong with that view so long as its explained to the public and made clear in the galleries etc! I wonder if the reason for the Museum’s use of the word ‘acquired’ which appears to be used as a a euphemism for plundered, looted, removed, depending on the context, is viewed as equally confidential? Thanks for raising that point Hakim. I personally believe that museums have an obligation to be transparent and to engage with what may be seen by them as ‘difficult’ questions with regard to both collection provenance and interpretation. Since what is in British museums is largely looted from other parts of the world I think that hoping for transparency might be hoping for too much. After all transparency would entail repatriation and reparation.